El Charro on the other hand, has each menu item explicitly marked with whether or not it’s gluten free. I have also found their staff to be much more well-versed on gluten-containing foods. It’s pretty hard to argue on it’s authenticity, since it’s the oldest mexican restaurant in the country, opening in 1922. I have been told that celiac runs in the family who owns the chain. The family also owns Sir Veza’s Taco Garage, which is typically very gluten-aware (especially the speedway location) and on multiple occasions the chef has come out to talk with me. 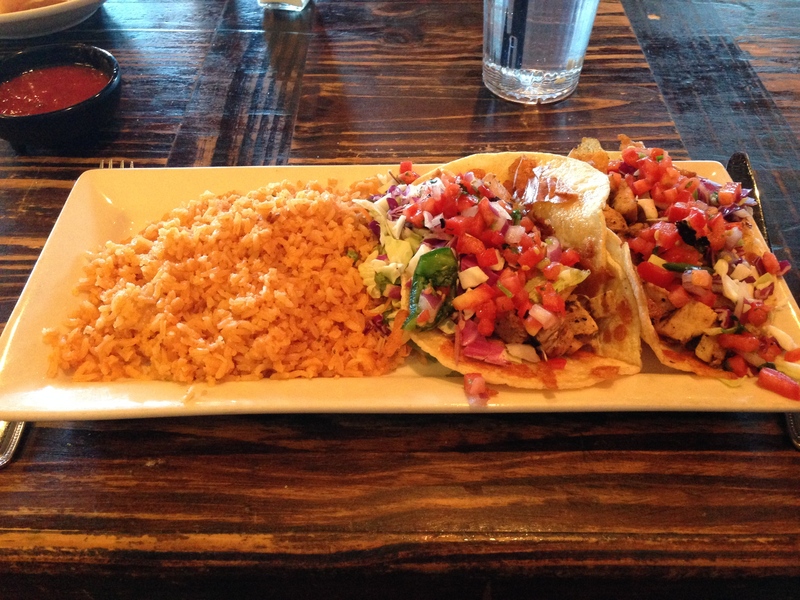 You really have a huge number of options when it comes to dining gluten-free at El Charro. I always get the same thing it seems like, chicken tacos with extra rice, no beans, but there are tamales, plates, salads, and enchiladas (if you’re not dairy free). You can also find some incredibly tasty margaritas – which are a must have. For a local (but sweet) flavor, try the prickly pear margarita (pictured above- the pink one on the left). One dish El Charro is most known for is their carne seca. You can order it a variety of ways, such as tacos, enchiladas, quesadilla, salad, or in eggs, but essentially it’s shredded beef dried in the desert sun (I’ve been told it’s dried on the roof of the original, downtown location, for several days). Whatever you decide to get, I’m sure you will absolutely love it. It doesn’t get a whole lot better than Mexican food in Tucson. Of late they have told me that the mexican rice is no longer gf. This was a the Oracle location. Again, I’ve been getting mixed answers, so be sure and ask. The kolb & sunrise location repeatedly tells me the rice is fine. One if my favorite Tucson restaurants! Thanks for the stroll down memory lane and the good information. I love it too! Thank you!! Agree about El Charro. I eat GF at Kolb/sunrise location. About rice–I was told in a Tucson Chinese restaurant that Waitress couldn’t serve me rice because it has flour in it–specifically bulk rice. This fact was confirmed by chef at Mountain Oyster Club. It is Used to keep it fluffy and not stick together.